Today’s post reacts to the news that PricewaterhouseCoopers (PwC) has been fined a record amount by a US Court in Alabama over its role in the collapse of Colonial Bank. The reaction to the news, and what it may mean for other regulators (who are currently in the limelight for their soft-touch approach) will be discussed in this post, with the sentiment being that this action is just a step in the right direction, but nothing more (for a number of reasons). Colonial Bank collapsed in 2009, after buying over $1 billion’s worth of fraudulent mortgages from Taylor, Bean & Whitaker, the former Mortgage-originator which also collapsed in 2009 and saw a number of its executives jailed for fraud. The collapse of Colonial, which is one of the largest in the state of Alabama, has been the subject of a number of trials and investigations, with the most recent concerning the performance of auditors who were tasked with assessing the workings of the bank. 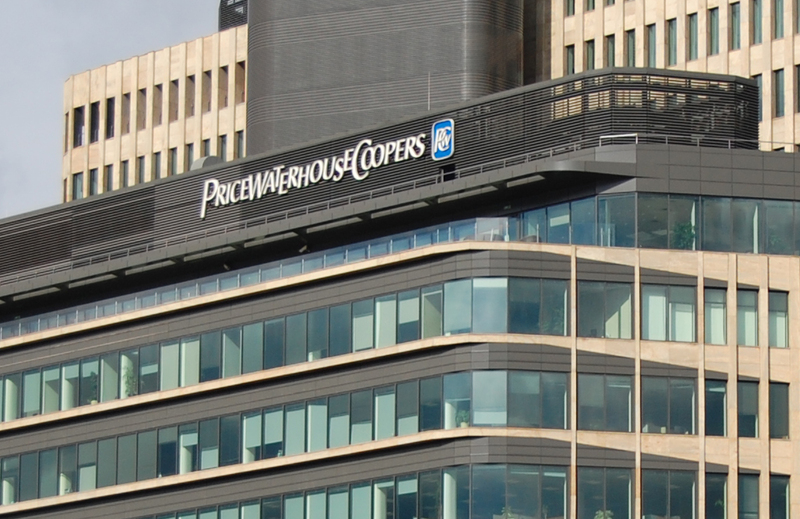 Yet, in the overarching story, this is not the first time that the auditors have come under fire, with PwC settling for $5.5 billion in a civil law suit in 2016 for failing to recognise the fraud via Colonial, and with Deloitte agreeing to pay the US DoJ $149.5 million earlier this year for its failings regarding Taylor, Bean & Whitaker directly. However, the US Court yesterday ordered PwC to pay $625 million to the Federal Deposit Insurance Corporation (FDIC) for ‘failing to do enough to uncover a fraud involving non-existent mortgages that triggered the failure of Colonial Bank’ – the FDIC had initiated this current action. Originally, the Judge presiding over the case had accepted that PwC were ‘duped by a determined gang of fraudsters’, but ultimately declared that, irrespective of this, PwC still fell short of its professional responsibilities. Specifically, the Court ruled that the auditor had demonstrated ‘negligence’ when it failed to perform the adequate checks, and as such the FDIC were entitled to be compensated for being on the hook for the collapse of Colonial. Although this author, as many of the regular readers of Financial Regulation Matters will know, is no fan of the financial penalty system (over custodial sentences), this does appear to be a positive step in the fight against the oligopolistic dominance of the Big Four auditors; after all, this fine represents the largest fine on record for an auditor (taking into account the differences between a fine and a settlement, of course). Yet, here in Financial Regulation Matters we are constantly proposing that we need to assess these situations in reality, and not as one may want them to appear, and in this instance that viewpoint is particularly useful. Initially, and rather predictably, PwC have announced they will appeal. This of no great surprise, but what will be more impactful is their oligopolistic response, which was confirmed by a Lawyer who represents the firm when he stated that the judgment will ‘greatly increase’ audit costs, and that ‘auditors have to charge enough of a fee to account for claims like this’. The inference in this statement is abundantly clear: “if you come for us, we make everybody pay”. This is the typical response from an oligopolistic member, as they fully internalise the influence that comes with being a member of an oligopoly. Furthermore, it is likely that PwC will use this instance as a deterrent to other regulators not to be so zealous, and with that in mind we have a tremendously apt example. Across the Atlantic, British regulators have more than heeded that warning (if they were ever capable of doing so in the first place). The besieged Financial Reporting Council (FRC) is currently undertaking a number of investigations into audit firms, including Deloitte and KPMG. In attempting to respond to parliamentary pressure for its ‘passive and reactive’ approach to regulation, the FRC is investigated KPMG for its auditing of the failed drinks supplier Conviviality. This comes after a string of actions, including PwC’s audit of failed retailer BHS (which resulted in a record £6.5 million fine), although the underlying inference is that the FRC is still reactionary, just now it is reacting to Parliamentary pressure and the looming Kingman Report. Unfortunately, the recent decision in the US provides for an uncomfortable comparator for British regulators. The difference between record fines of $625 million and £6.5 million are stark, irrespective of the different scales. Whilst the US is obviously a larger entity than the UK, the damage caused by the auditors and their ‘negligence’ is just as severe and widespread, so why the difference? Professor Prem Sikka, who will be leading the Labour Party’s review of the industry, commented via his Twitter account that ‘fines [in the Conviviality case], if any are levied, will be passed to the ICAEW. What a circus’. The FRC, in its March 2018 Budget and Levies strategy report, state that ‘If the FRC’s audit investigation and sanctions work results in a statutory fine under the Statutory Auditors and Third Country Auditors Regulations 2016 (SATCAR), that fine would be required by those regulations to be paid to the Secretary of State’ – presumably the Conviviality fine would be established under those regulations, but only time will tell if this ends up being the case. Yet, the real issue is this one ‘toothlessness’ described by Parliamentary Committees, and these reactions by the FRC only support these claims, despite what they may think. In reality, if the FRC was confident that their regulatory approach was the correct one, they would not bow to the external pressure. It is also telling that their response to that pressure has been to raise their fines to ‘record’ levels, all of which constitute the smallest of fractions of the auditors’ operations. Ultimately, the UK is in real danger of being regarded as a particularly light-touch jurisdiction when it comes to financial regulation, and in the post-Brexit arena this will have disastrous consequences; the race-to-the-bottom will have many losers.